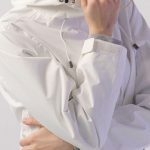 This jacket is a great everyday jacket that is both sporty and feminine with fantastic features to resist water and wind. 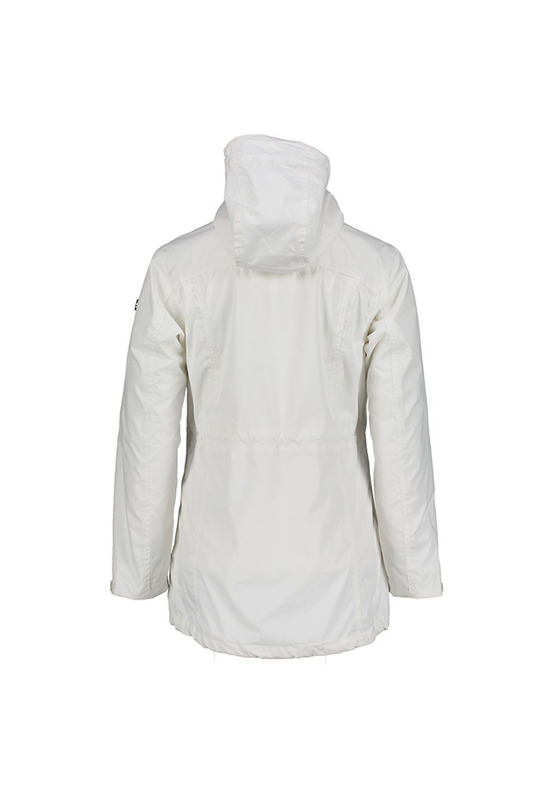 Borås Jacket is a durable, usable jacket to wear both in nature and out on the town. It is fully water resistant with two covered front side pockets with both zippers and buttons. A sporty female model that fits all shapes. Drawstring in hood, waist, and bottom hem. Adjustable elastic cuffs. 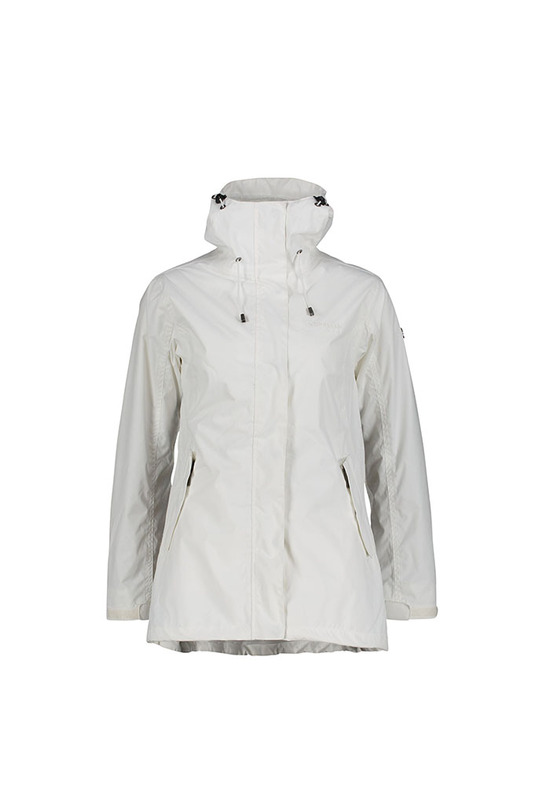 This jacket is available in sizes 36 to 46 and comes in green, black, and white. 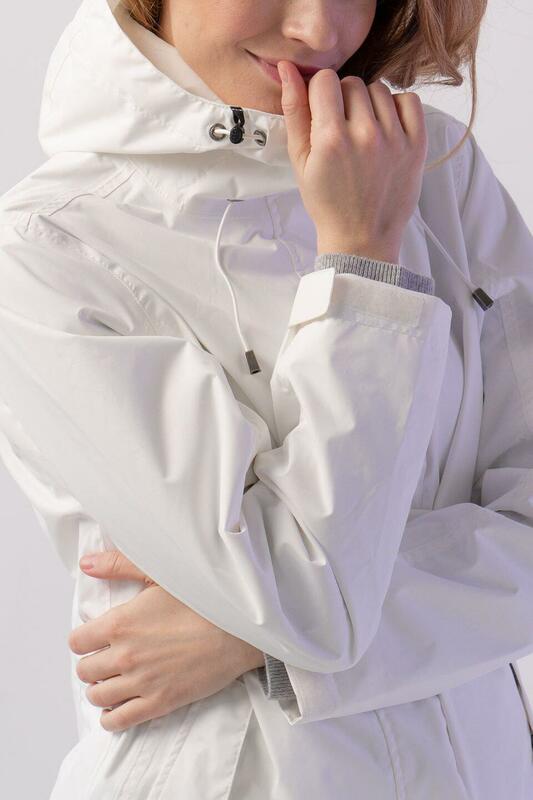 Like all our jackets, Borås Jacket is manufactured in accordance with our sustainability method. Naturally, we comply with the voluntary international cooperation network; the UN Supplier Code of Conduct. The supplier code of conduct was introduced to support both participation by the private sector and the work of social actors to promote corporate responsibility and social and environmental principles in order to meet the challenges of globalisation.